It is possible to manufacture any shape of products. It is light so compared with other materials, it is easy to install. Compared with moulding, the cost of making a mold is remarkably low. 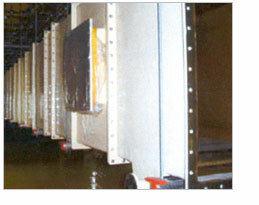 It is possible to produce many products, using a mold. In addition, various covers for the appearance, models, interior and exterior accessories, and various shapes are available. 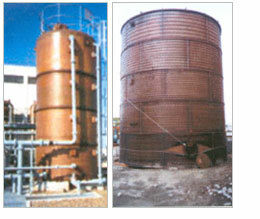 Corrosion-resistant FRP shows excellent corrosion resistance against acid, alkali, and salt solution. Its specific gravity is about 1/5 of that of iron so it is light, but its strength against weight is big so it is easy to transport, install, and mount. It is good for large equipment, tanks, pipes, facilities for the prevention of environmental pollution, chemical systems, and other industrial facilities. It is different from thermal plastic resin like vinyl chloride and polyethylene. 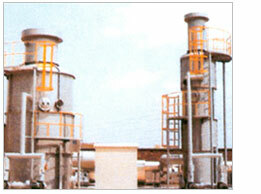 It is thermosetting resin so it is not softened or transformed at high temperature. In addition, it is not broken or cracked either. Its thermal conduction rate is 1/200 of iron and its adiabatic property is good so the treatment of keeping warm or cool is not necessary. It doesn’t use a metal so no metal is melted in the contents and there is little quality change. Various molding methods, such as hand lay up and filament winding, are available, depending on the shape and the use of molded products. Molding for large or complicated facilities is possible at a time. In addition, the construction work is performed on the spot so it is possible to make ultra-large equipment which is difficult to be transported. 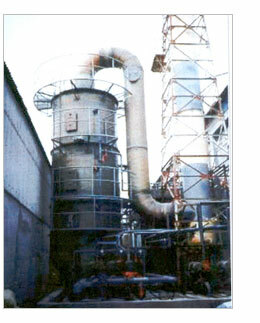 Scrubber forms a fluid membrane or a waterdrop, and purifies the gas polluted by the contact with dust-contained gases. Its strength is that is can treat dust, bad smell, and harmful gases at the same time. As a cleaning liquid, water is used, but depending on the solubility of pollutants, a solvent can be used. 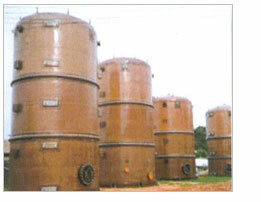 A tank is one of the necessaries for a plant and its importance is getting bigger. Recently, in the plant business, the storage of raw materials and products is on increase, but the storage tank is specified as a simple tank. Daeshin Demister offers economically efficient corrosion-resistant, acid-resistant tanks based on the sufficient experience of constructing storage tanks suitable for contents, temperature, and pressure. They are essential for all the facilities. FRP ducts and fittings have the highest competitiveness in terms of corrosion-resistance, specific gravity, and strength. 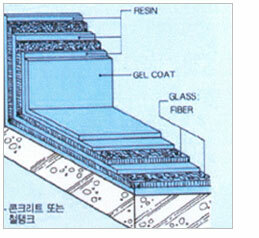 Based on a lot of experiences, Daeshin Demister designs them for economic efficiency. 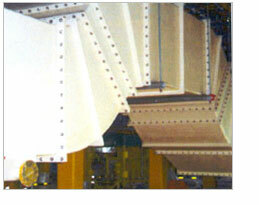 Daeshin Demister produces the best ducts, using a computer-controlled filament winding system, so the facilities of high quality are offered. Daeshin Demister, by itself, produces F/W machine that is necessary for the production of FRP products, and its excellence has been recognized by domestic excellent FRP companies. 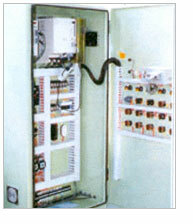 Especially, P.C Interface that has been developed by Daeshin Demister offers excellent environment for use. For the best optimum conditions, how about having FRP lining that has excellent corrosion-resistance and high strength Only the excellent, strong material is used and thorough and perfect construction shortens the working period and improves productivity. The efficient construction is based on long experiences so the construction period is shortened. A material which has good repair efficiency is used. 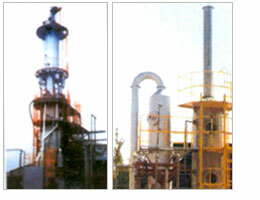 Daeshin Demister will do its best to make a contribution to the improvement of customers’ competitiveness.